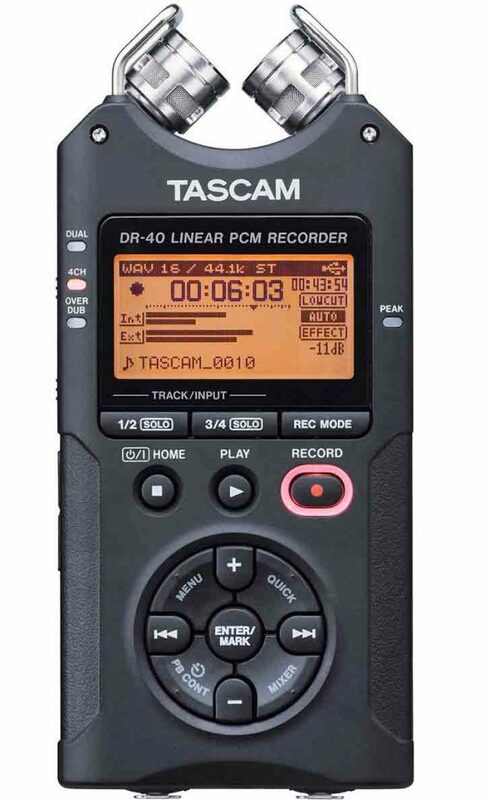 The Tascam DR-40 is a simple-to-use recorder for events and video production. 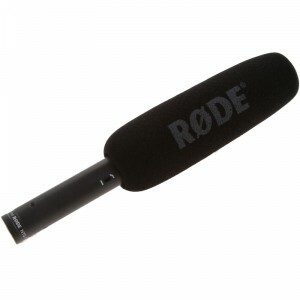 It accepts dual XLR , dual 1/4″ mono or a stereo 1/8″ input, or uses the built-in microphones in X or Y configuration. It records WAV files up to 96kHz/24-bit to SD or SDHC cards. We average about 6 hours of runtime on AA batteries, or 2 hours with phantom power turned on. We offer an external battery pack and AC adapter if you’d like to record for very long periods without changing batteries. Since it’s relatively small, it’s also an excellent backup recorder to keep in your bag for emergencies and special circumstances.